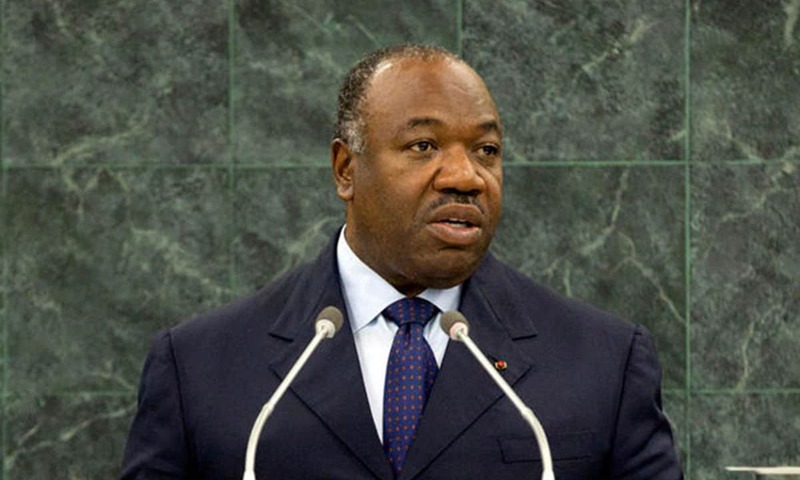 Gabon: President Bongo returns, but will that change anything? President Ali Bongo returned to Gabon on Tuesday for the first time since he was reportedly struck with a stroke last year, but it’s unlikely that his return which ostensibly looked planned to save the moment will change growing apathy for his government. President Ali Bongo is back. Bongo returned to Gabon on Tuesday- the first time since the president left the country to treat himself of stroke in October, last year. The President who returned to Libreville, the capital from Morocco in the early hours on Tuesday went ahead to preside over a ceremony- done behind closed doors- to mark the swearing in of newly appointed members of the cabinet. Observers believe the new appointments were spurred by Bongo’s determination to hang on to power. Whether or not his return to the country would be enough to quell growing apathy for family’s dynasty in the country remains unseen. His return, however, is likely to put to rest the controversies generated by his absence from office, which has been the fulcrum of rising anger among swathes of the country’s population. “There can be no more talk about a power vacuum,” a presidential spokesman was quoted as saying at the swearing-in ceremony of the newly appointed ministers. Such submissions are apt given the heats his absence has generated since he suffered the stroke in late October during a visit to Saudi Arabia. Nevertheless, critics have argued his return – which seemed to be a calculated move to dampen the rising tension in the country – would not stop demonstrations against his family’s dynasty and calls for his ouster. Critically, the President’s return seems to be a decision hurriedly done, given its timing. His return to the country eight days after an attempted failed coup by some military officials last week Monday would only invite scrutiny. His government’s secrecy in handling the situation is hardly helping matters, too. So far, government sources have kept mute over whether his return is permanent or he would travel back to Morocco for further treatment- a situation that only ignites more questions from the public towards his government. For instance, when Bongo was first taken ill, the singular lack of official news – along with memories of the secrecy around the death of his father Omar Bongo in 2009 – had fuelled a flurry of rumors, including speculation he was incapacitated or even dead. Bongo’s return may seem a quick fix to the situation at hand, but certainly not for the long term. Getting a long-term solution- which looks difficult, given the growing dissent over his family’s dynasty- would be determinative of massive reforms, which will entail rejigging people’s waned trust in his ability to lead the oil-rich West African country. Bongo, 59, rode to power in 2009 after the demise of his father, Omar Bongo. Prior to his emergence, his father had ruled Gabon for 42 years. Bongo won re-election in 2016 by fewer than 6,000 votes, sparking deadly clashes between protesters and police during which the parliament was torched. His family’s dynasty over the country’s political landscape had been a source of worry to critics. Critics argue that such age-long dynasty- stretching to a half-century- prevents the dawn of an alternative, vibrant and innovative leaders, capable of shooting the country to its strengths.